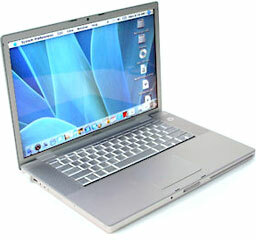 While the safe money was on a consumer laptop (the rumored 13.3″ widescreen iBook) or desktop (a Mac mini not only with Intel but also with Front Row), Apple once again managed to have the upper hand on the rumor mill by introducing the Intel-based iMac and PowerBook (er, MacBook Pro) instead. The fact that Apple beat their original estimation for shipping Intel Macs by six months bodes well for the transition. With NeXTstep/OpenStep’s history on Intel hardware and Apple creating internal Intel builds since the beginning of OS X development, Apple was ready. More importantly, the developer community responded very well to the transition plan. We started seeing Intel-ready universal binaries ready for download before consumers even had Intel Macs in their hands. Now that the systems are available for purchase by the general public, the flood of universal binaries has been unleashed, and we may be looking at one of the smoothest transitions in Mac history. Not that the transitions from 68k to PowerPC (PPC) and OS 9 to OS X didn’t go well, but there were bumps along the road – and less-than-optimal performance in both cases. 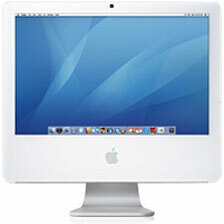 Most of the Mac OS – especially the Finder, the heart of the OS – wasn’t PPC native until about four years after PPC machines were introduced. Even then a lot of 68k code still lingered, even in OS 9.2. And it took a couple of years before OS X got good enough for everyday use. With the Intel Core Duo processors claiming to be two to four times as fast as the G4s and G5s they replace, plenty of native apps, and the reported outstanding performance of Rosetta for PPC emulation, a majority of OS X users could make the switch today and be better off for it. Why the Switch to Intel? It’s been debated for months, but now that it seems a given that Apple will pull this transition off, what exactly is their motivation? The official party line is that Intel’s technology roadmap simply meant faster, more efficient CPUs for the foreseeable future. Intel had the best to offer, and Apple wants to deliver the best for its customers. Of course, most people following this story (especially those with a good grasp of Apple and Microsoft’s history together) think there’s more to it. Even though Apple isn’t selling OS X for general use on off-the-shelf PCs, that doesn’t mean it couldn’t happen in the future. Lest you doubt, did you ever think they’d switch to Intel processors? I know I didn’t. Imagine for a moment if every consumer had the choice of installing Windows, Linux, or Mac OS X on the PC hardware they already owned. This would be Steve Jobs’ one chance of overturning Microsoft’s dominance in the personal computing industry. Or Apple may just be hoping to attract more developers to the Mac platform. While writing apps for the Mac will always be different than writing them for Windows, the Intel switch undoubtedly makes porting a much easier task. The common architecture makes a Mac version easier to produce, and we’ll undoubtedly see more Mac products now. Apple’s partnership with Intel may also be built around future digital media ventures. The iPod has obviously been a runaway success, and the tech industry is holding its breath to see how Apple follows it up. Whether it’s a movie store or something nobody’s thinking of right now, you can bet that Intel technology will play a huge role in whatever that Next Big Thing is. I’d like to think that Intel and Apple have something in the lab right now that’s going to blow us all away at some point. Or the reason for the switch may be all of above. Or it may be just to put the Mac on par with the hardware that powers Windows boxes all over the world. Whatever the reason, it’s working out brilliantly so far. As a company, Apple has never been more successful, and they have definitely shaken the “beleaguered” tag.